This photo is of the southbound bridge of the I-39/90 Central segment at the Rock River in Edgerton, WI. This bridge is almost complete! The northbound bridge was completed last year and both structures were designed by Westbrook. 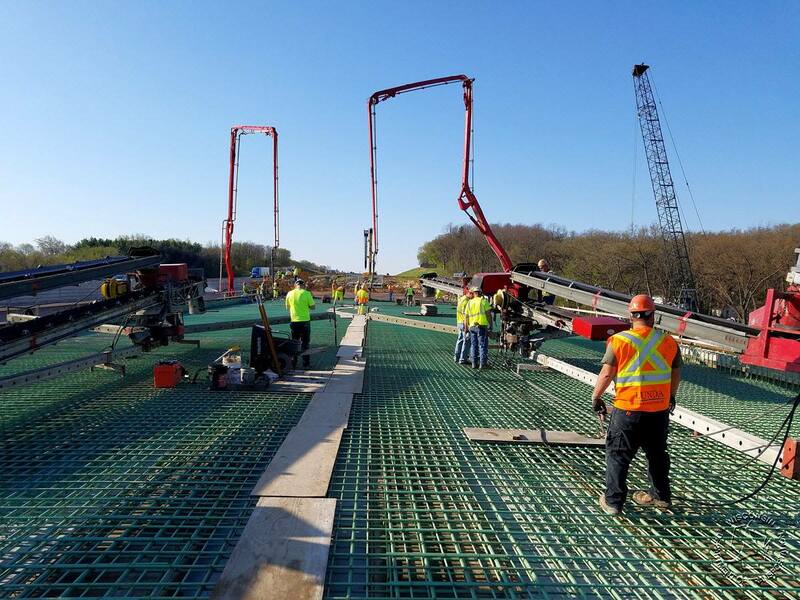 The picture shows the concrete deck pour operation. 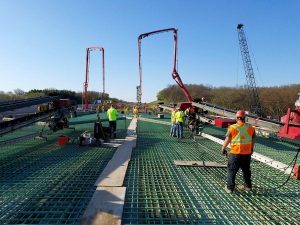 There were nearly 1500 cubic yards of concrete poured during the deck pour.